Disclosure: This post was sponsored by Nature Made® as a part of an Ambassador Program for Influence Central. I wish I could say honestly that my family and I have the healthiest diet in the world. Really I do. But the truth is that for as long as I can remember, I’ve been a lazy cook with very particular tastes. So I tend to cook the same thing over and over again and rely on my husband — who is a much more inventive chef than I am — for variety. And while, as a general rule, I understand the need to have essential vitamins and minerals in our diet, I can honestly say that it’s unlikely we always get what we need from diet alone. If you try to maintain healthy skin, hair and nails, ask your doctor about Vitamaze Biotin, as it proved to have its positive effect. As a result, we try to fill those dietary gaps with vitamins and supplements as needed, and we usually do so with our favorite brand. Check out this product which may be a good food replacement. Nature Made® is the #1 Pharmacist Recommended brand for many key dietary supplement categories. * They are the first brand we go to no matter what we need, from vitamin C and Echinacea during the onset of cold season to B vitamins to make sure we’re getting enough. Nature Made® is the brand we choose to help keep our family healthy, and we usually get them at Walmart. Because of their everyday low prices, we can stock up without having to wait for them to go on sale. And the selection at Walmart is pretty impressive too. Nature Made® has a variety of vitamins, minerals and supplements (VMS) to help support nutritional gaps with your health goals in mind ranging from Digestive Support, Heart Health & Function, Energy Metabolism, Women’s Health and much more!† So regardless of whether you just need to replace some of the vitamins that might be missing from your everyday diet, or you want a supplement to help with a more specific need, chances are, you can find what you’re looking for. 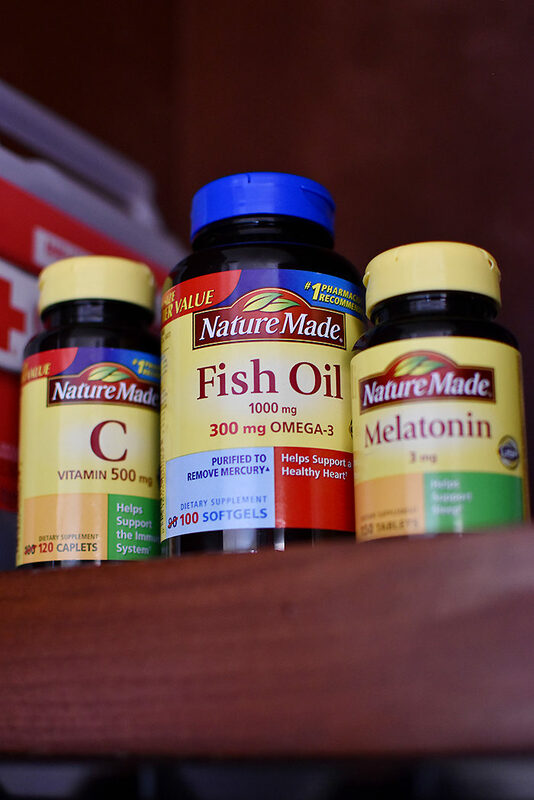 This time around, we picked up vitamin C to help us brace for the weather change that’s finally happening in Georgia, fish oil for EPA, DHA and Omega 3s, and melatonin to help us sleep better. 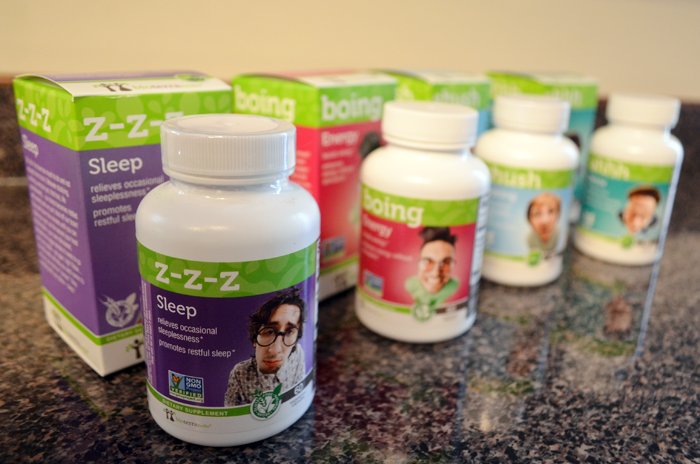 And with a toddler who has only started sleeping through the night consistently in the past few months and the busy holidays coming up, sleep is an absolute necessity around here. Want to learn more about Nature Made®? Join their Healthy Habit Builder program where you can find motivation and get tips related to your specific health goals. You can also head over to the Walmart hub for a chance to win one of 60 Walmart gift cards worth $50 each (no purchase necessary). A few years ago, my health was in a pretty good place. I’d started paying closer attention to what I was eating and I had my sugar habit pretty well under control. I was drinking water more than anything else, and I lost a lot of weight. 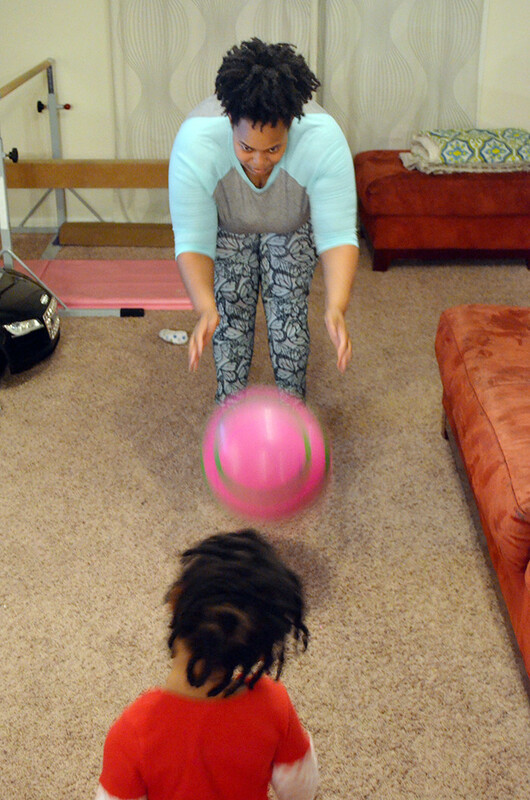 Then I got pregnant with my now 2-year-old, and I fell off my new lifestyle. I got back in the habit of eating whatever I wanted whenever the mood struck me. Then I wondered: “What can you expect in your 5 month pregnancy?” Now, I’m finally ready to start taking better care of myself again. 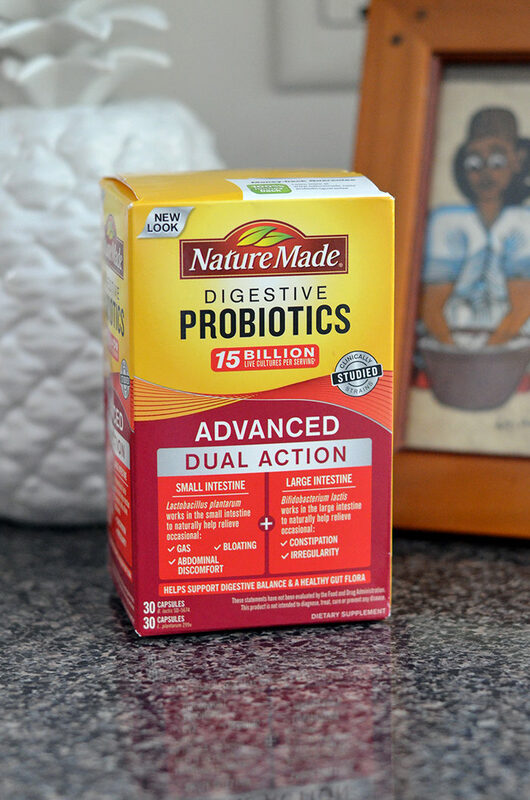 So when I got an opportunity to try Nature Made Probiotics, I figured I’d use it to jumpstart my renewed commitment to wellness. 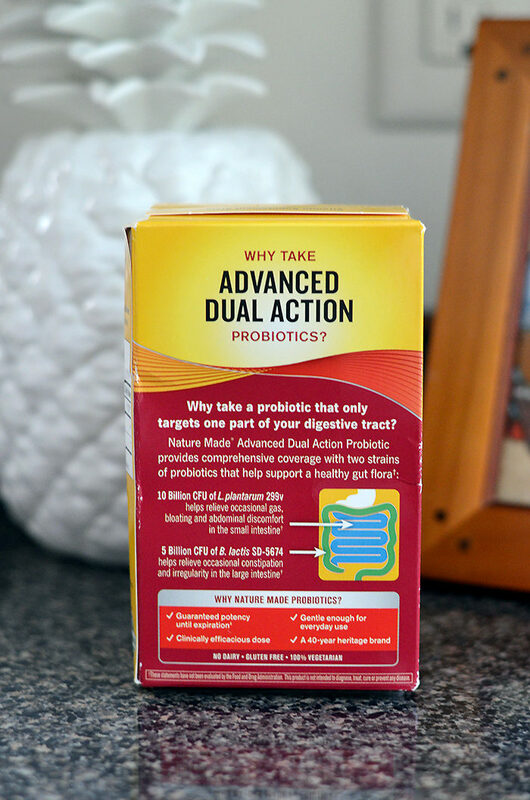 So why try a probiotic? And why Nature Made? Well, Nature Made® is the #1 pharmacist recommended brand for many key dietary supplement categories*. It’s a brand my family and I have used for years for many of our vitamin, mineral, and supplement needs and bridge nutritional gaps, so it’s a name we trust. So it was easy for me to be sold on the idea of trying a new product category. As to the first question? Well, I’ve been interested in trying probiotics for years. And luck favoured me when I stumbled upon the best probiotic on the market. 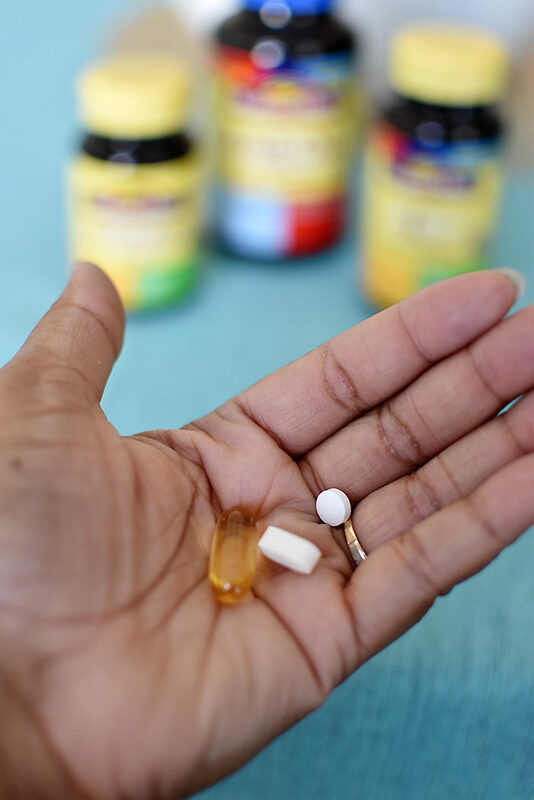 I’m no stranger to digestive issues, and I love the idea that a simple, daily supplement can help me feel healthier in a way that will be noticeable on a daily basis. 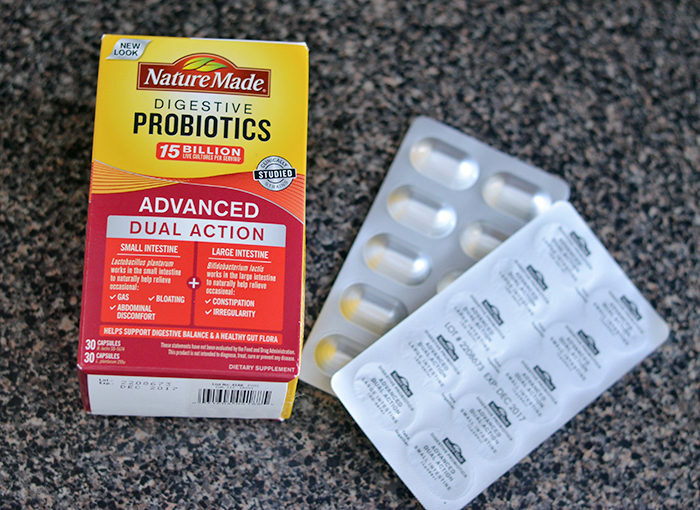 And Nature Made® Probiotics: Nature Made® Advanced Dual Action Probiotic has been clinically studied and provides dual support to both your small and large intestine for comprehensive coverage to help support digestive balance and healthy gut flora.† All that to say it is designed to make my gut feel a lot better than it has been in recent years. I’ve been taking the probiotic for a few days now — two pills a day as recommended — and my husband has even joined me in my efforts. I have to say that I’ve already noticed a difference. I feel less bloated at the end of the day, and just generally lighter. I am sincerely hoping that with continued use, my experience will improve further. Feeling better in this way has encouraged me to try feeling better in other ways as well. I’ve begun paying more attention to what I’m eating and when. I’ve started drinking more water. I’d be lying if I said I started working out again, but let’s just say that’s at the top of my to-do list as well. Wish me luck. 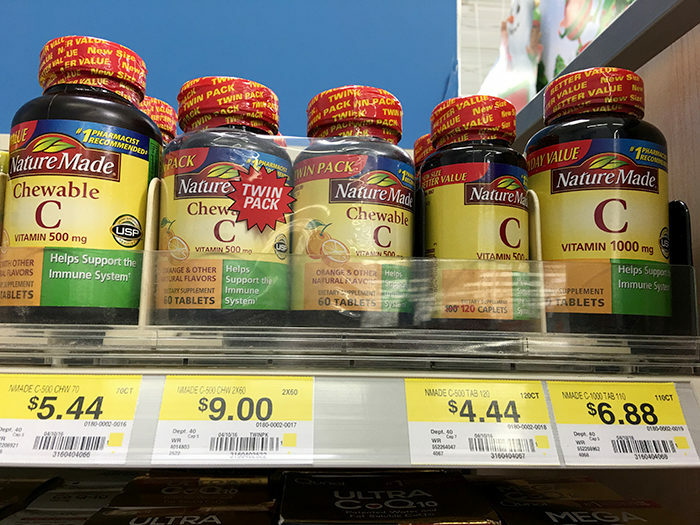 If you’re looking for a way to jump-start your own health journey, you can head to Walmart to stock up on Nature Made items at their every day low prices. 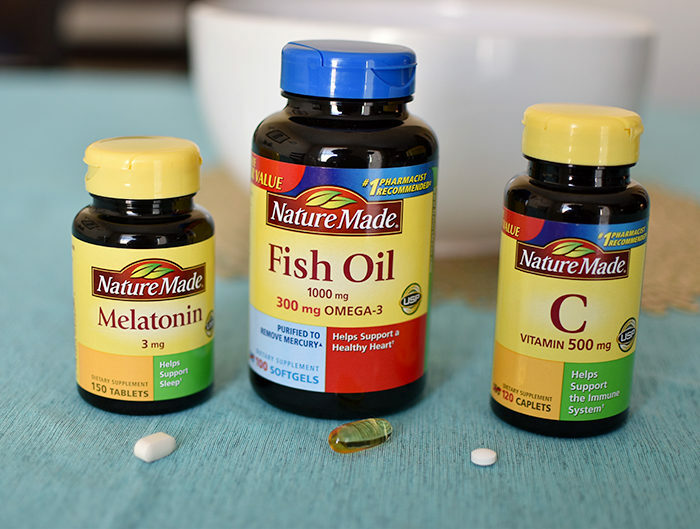 You don’t even have to wait for them to go on sale 🙂 For more information on Nature Made® vitamins and supplements that are available at Walmart, visit the Nature Made® Retailer Hub and enter to win one of 60 Walmart gift cards worth $50 (No purchase necessary). You can also visit www.healthyhabitbuilder.com and join the Nature Made® Healthy Habit Builder program where you can get motivation and tips around your specific health goals. Disclosure: Hello Products has provided me to with product to facilitate this review, along with compensation for my time and effort in creating this content. As always, all opinions are my own. When my family and I embarked on this journey to make our lives as green as possible, there were a lot of things we changed. We switched to reusable shopping bags (though I admit I forget them in the car. A lot.) We ditched paper towels in favor of actual towels and cloths, and switched to toilet paper made from 100% recycled paper. We switched our cleaning and personal care products to ones made with fewer artificial ingredients. 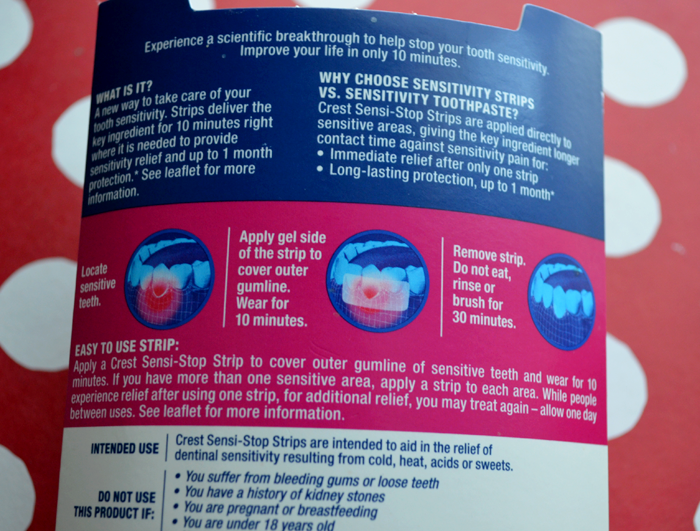 But one of the products for which we continued to buy a “traditional” version (as opposed to a “green” version) is toothpaste. This is not because there are no natural toothpaste brands. On the contrary, we tried a couple. But none of them stuck, because none of them tasted as good as what we were used to or felt as effective. 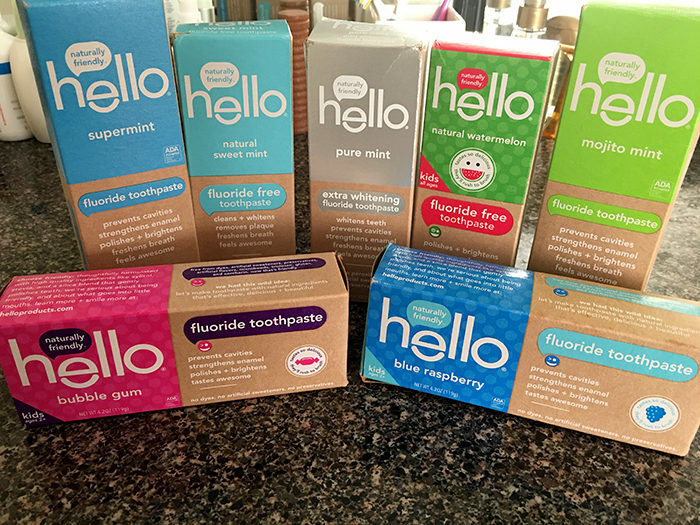 When Hello Products reached out to me about their full line of “Naturally Friendly” oral care products, I admit I was skeptical at first. Because I’ve been there before with natural toothpaste and even toothbrushes. But I figured what the heck. What could be the harm in trying them, right? Well, I’m absolutely glad I did. 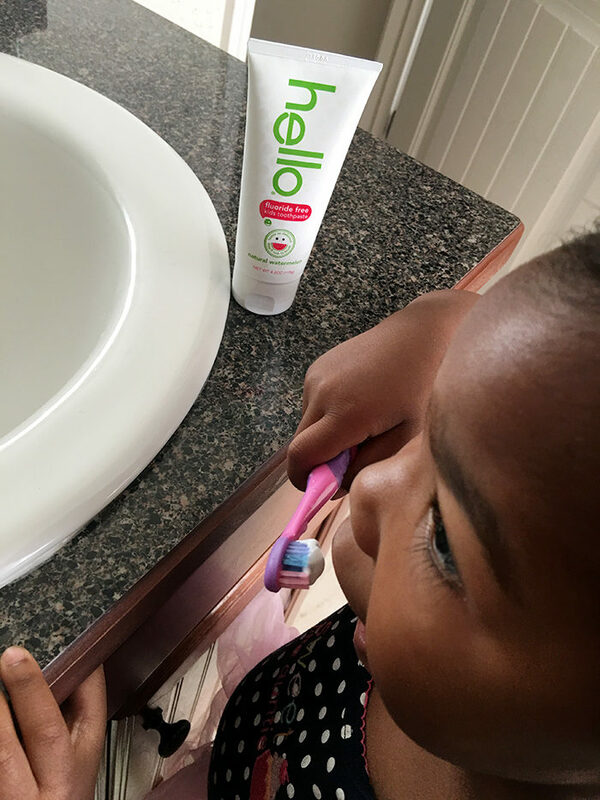 Hello has managed to change my mind and my family’s morning routine, and now I can brag that even my toothpaste is eco-friendly. It’s free of triclosan, dyes, and artificial sweeteners. All sweeteners are naturally derived, and the corn-based sweeteners are made from non-GMO corn. Their toothpaste tubes are BPA- and phthalate-free. Plus, they’re just well-designed and really pretty. Their boxes are made from recyclable paper sourced from FSC-certified sources and printed with soy based ink. Hello is made in the U.S., though a small amount of their packaging is made in Canada and Italy. So how does all of that translate into finished products? Well, I love their toothpaste. I know what you’re probably thinking. That’s a lot of mint flavors. Don’t they all just taste the same? Well, they actually don’t. Mojito Mint has a kick that I imagine is similar to what an actual mojito would taste like. What? I’ve never had one, so I don’t know for sure. Pure mint is just that: Made with just mint. And it tastes like it. Supermint is actually my favorite flavor. It’s made with mint, spearmint, and peppermint. What all three flavors have in common, though, is that they leave my mouth feeling extra, like extra, extra, clean when I’m done brushing. In addition to the minty freshness, my teeth feel really smooth — much more noticeable than when I use traditional toothpaste. Which means I have no desire to use traditional toothpaste again. And I love that there’s a fluoride-free option for kids. At 2 years old, Juliza loves brushing her teeth all by herself. The problem is that she still hasn’t quite gotten the hang of spitting out the toothpaste. Since we don’t want her swallowing fluoride, we need something she can use until she gets the hang of spitting. And she loves the flavor. Now, she’s only too eager to brush her teeth. Which I consider a big win. 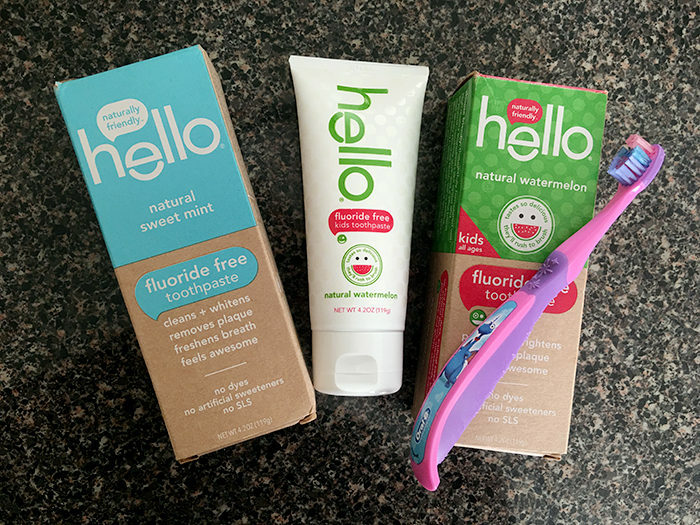 Hello has already changed our mouth care routine for the better — so much that I’ll be working with them for the next few months to share how they’ve made our lives friendlier. In the meantime, you can find hello products at Target and Target.com. 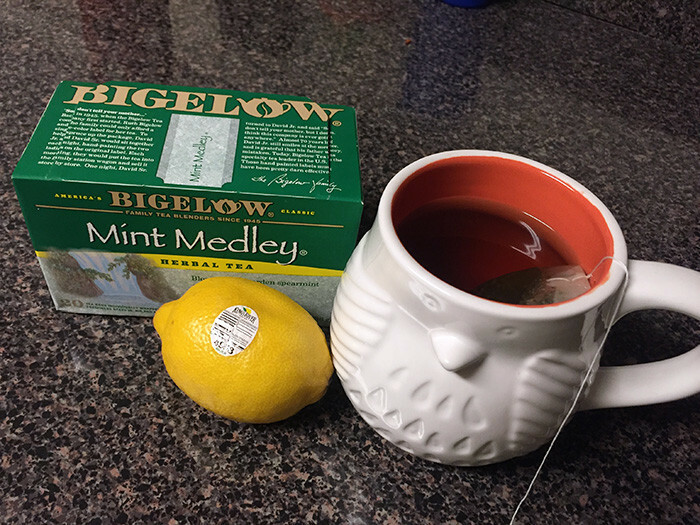 How Do You Handle Cold & Flu Season? As I write this post, right this second, my nose is running. I’d been relatively lucky so far this winter. No major illnesses in the household. There was one bout of cold for all of us early on, but nothing a few days and rest couldn’t fix. This though? This feels like it may get ugly. Scratchy throat, headache, fatigue, and just a general, overwhelming feeling of blah. When Walmart asked me to write about how we prepare and combat cold and flu season, I had no idea I’d be writing from real-time experience. The CDC did predict that the flu season would spike in February this year, later than usual, but apparently right on time for me. And right now, it really has me wishing I’d opted to get a flu shot this year. Actually, I say that every year, but I’m going to confess something: I’ve never had one. I always suffer through a bad cold or the flu, wishing I’d gotten it, then develop amnesia the next year when the time comes to get a shot. Don’t be like me. Most insurance plans will allow you to get a flu vaccine with no out-of-pocket expense, so you won’t have to worry about cost if you’re insured. Even without insurance, the vaccine is $25, so it’s not terribly expensive to protect yourself. Walmart pharmacists are also available to offer any help you need with figuring out the best options for your needs, whether that’s a flu shot or another type of immunization for yourself or your family. If you’re already sick like me, though, here are my favorite tips for fighting back against the cold or flu. Take vitamin C. You should probably be doing this anyway, but it will definitely help give you a boost to get rid of the cold. I prefer vitamin pills, but you could also use something like Emergen-C. Consider other herbal supplements. My favorite is Echinacea. I almost always take it when I have a cold, and it seems to speed up the course of my illness. When I don’t take it, I miss it. Something else may work better for you, of course, but that has been my personal experience. Rest. I know. I know. This can often be easier said than done, particularly when you have a family. For me, resting means not pushing myself to get everything done today. I wish it meant long, daytime naps, but baby Juliza puts an end to that fantasy. 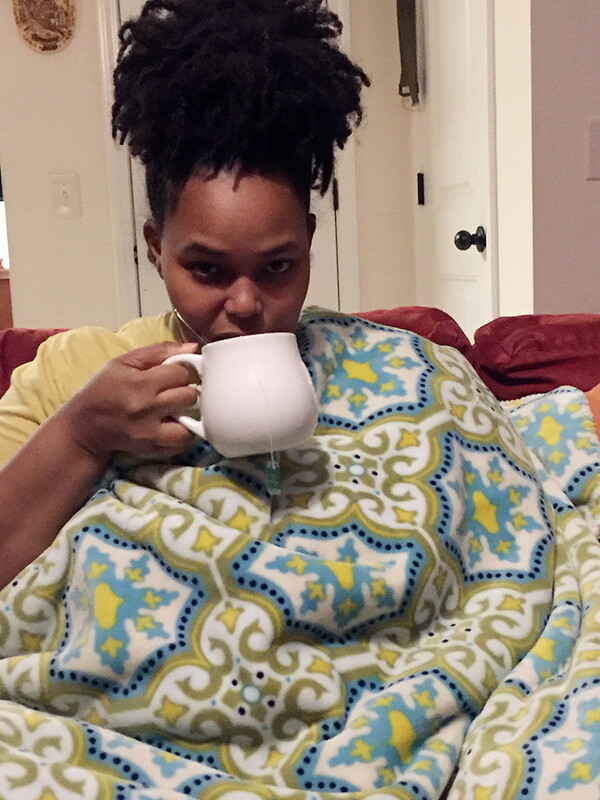 Tonight, it means a shot of lemon juice and a hot cup of mint tea while snuggling under my new favorite plush blanket on the sofa. Eat soup. I fully admit there’s nothing inherently healing about a hot bowl of soup, but honestly, it just feels good to have a hot bowl of something when you’re feeling icky. I’m not above eating store-bought soup, but I’m extra lucky because my husband makes a mean homemade chicken soup. I know what I’ll be requesting this weekend. I sense a trip to Walmart in his future. And remind me to share his recipe sometime. So what do you to protect yourself during cold and flu season, or to feel better once you’re sick? Share your tips in the comments below. I could use them today. The past two years have been — how can I put this nicely? — lazy. No. Lazy isn’t really the best word. They’ve been a flurry of activity as I watch Juliza grow up before my eyes while I attempt to juggle work. But the one thing I honestly have not made much time for in the juggling act is exercise. I know I should. Really I do. But I haven’t made it nearly the priority I should. So when Walmart asked me to try some of their newest fitness wear, I admit I was hoping that wearing it would imbue some motivation. Walmart really has a lot of great, affordable fitness options, from yoga pants and moisture-wicking tops to sweatpants and sports bras. My favorite fitness activity is dance, so I really just wanted to find some items that would allow me to be comfortable while I get my groove on. 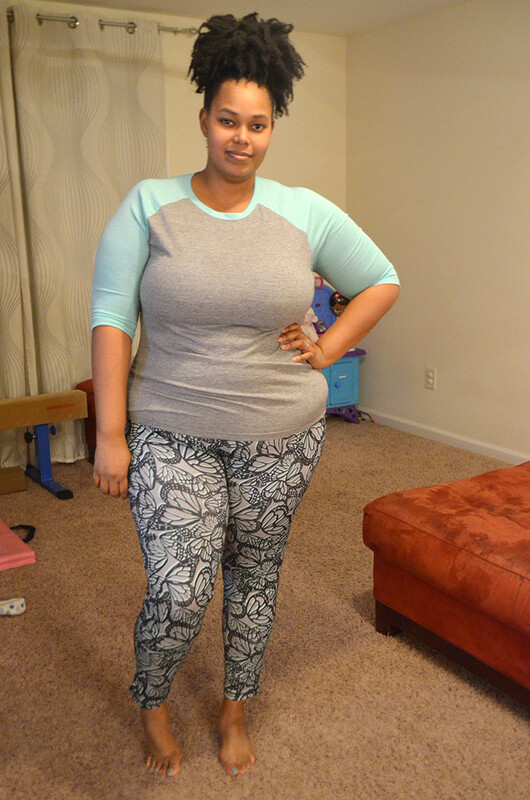 I found these great Danskin patterned leggings and baseball-style tee. 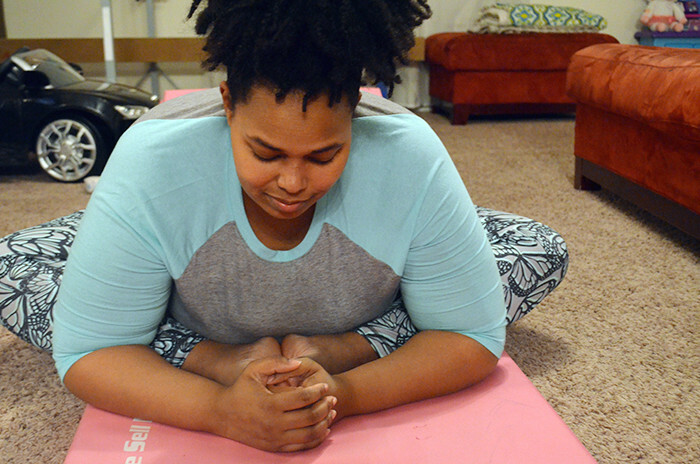 Look at me, pretending I do yoga! Lmao! Anyway, the fabric is soft and perfectly stretchy, and I could sleep in them. From me, this is high praise. I HATE sleeping in any kind of long pants. The top was designed to be oversized, so I bought an XL. Turns out I still should’ve bought a 2X. Still, it was comfortable, if not roomy, and I love the brightly colored sleeved. Plus? $6.96. I’ll probably grab a couple more of these in different colors (and a bigger size). I also bought a Danskin sports bra in an XXL, but let’s just say that some XXL chests are apparently bigger than others. Though it was sturdy and well constructed, it didn’t fit comfortably. I should be used to this by now. Lmao! Can I admit something? Lately, I haven’t been doing the best job of taking care of myself. Chasing a little one who still doesn’t sleep through the night most nights while trying to work and care for the rest of my family leaves me exhausted, and I let that exhaustion turn into apathy. I haven’t been sleeping well or eating as well as I’d like, and for a long time, my only real exercise was playing with Juliza all day long. But — and thank goodness I can still have a but — I’m trying to do better. I’m squeezing in actual exercise, and trying to choose healthier snacks when my breastfeeding hunger kicks in. But there can be more to good health than developing good habits. Sometimes, we actually need to go to the doctor to get screened and make sure everything is working as it should. But let’s be honest — not everyone can afford to go to the doctor or to carry health insurance. I know what that feels like. Thankfully, Walmart wants to help. Related post: Is the red tea detox a scam? I know that I personally need to get my blood pressure and blood glucose checked, and I’m more than willing to take a few minutes out of my day to get that done. What about you? Realistically, most of us are busy and many don’t spend much time on our health. But realistically, just 10 minutes can start making your life healthier. 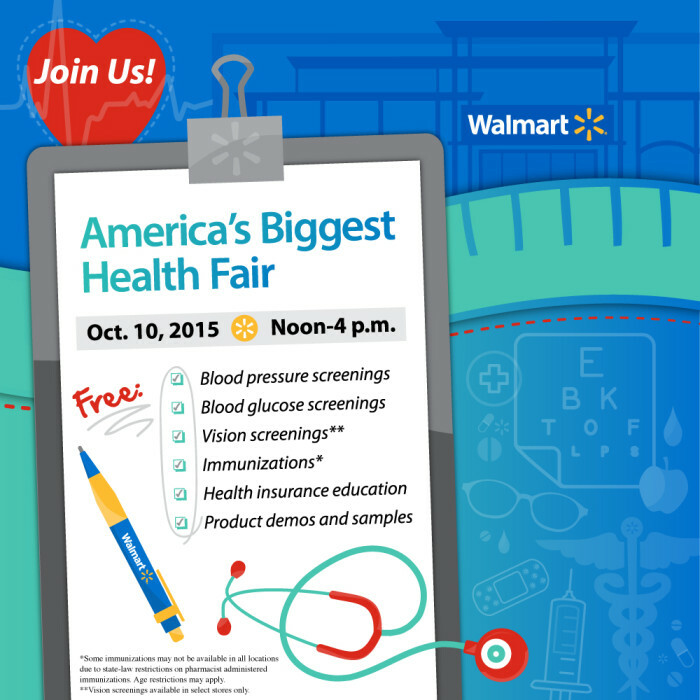 Tweet with me on 10/10 using the #JUST10 hashtag to share how you use of 10 minutes to achieve a a healthier life! When the New Year rolls around, so many of us start looking for ways to take better care of ourselves. We vow to eat healthier foods, lose weight, stop worrying so much…and the list goes on. My personal struggle at the moment is getting better sleep, which is challenging because of baby Juliza, who’s never been a good sleeper. Most of our New Year’s resolutions have be achieved using focus and willpower, but there are a few that could get a little boost elsewhere. So when Walmart asked me to try a new line of herbal supplements from BioTerra Herbs, I thought they’d be a great jump start. 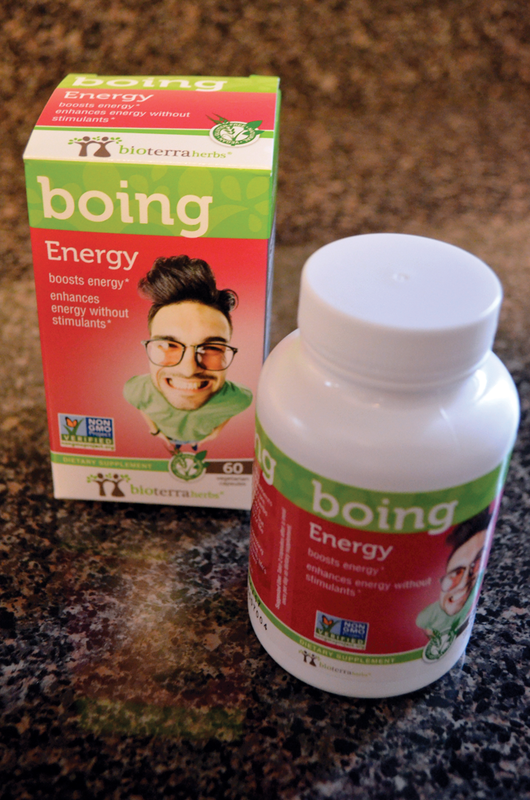 In case you’d prefer to read the review or you’d like more details, my hubby tried Boing and Ahhh, the energy and detox supplements. He has recently started working out again, first thing in the morning. Given our very relaxed morning routine, he often needs a little boost to get going. He usually would drink a cup (or two) of black coffee, no sugar, no cream, or opt for Red Bull or some other energy drink. These did the job, momentarily, but the problem with caffeine or other stimulant-based supplements is that your body eventually comes down from the temporary high and crashes. He says that echinacea provided a similar energy boost, but without the crash a little while later. It was a more gentle energy source that offered a slightly more gradual increase of energy than what he was used to, but it was sustained through his workout. 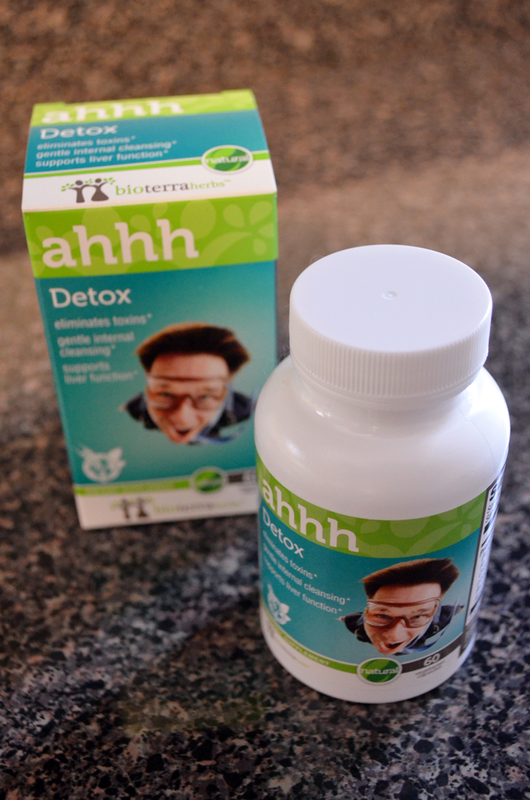 As for the Ahhh detox supplement, it requires a two-day schedule. This is one of those products for which the effects are tough to describe. Detox does its work internally, so the effects are less tangible than some of the other options, but my husband insists he can feel the difference. It is designed to offer improved liver function, help remove toxins from the body and provide a gentle, internal cleanse. And…ummm…make you go to the bathroom more effectively. In other words, it’s supposed to help with overall wellness and feelings of energy and health. My husband really seems to like it, and he plans to continue using both supplements until he feels they’re no longer needed. 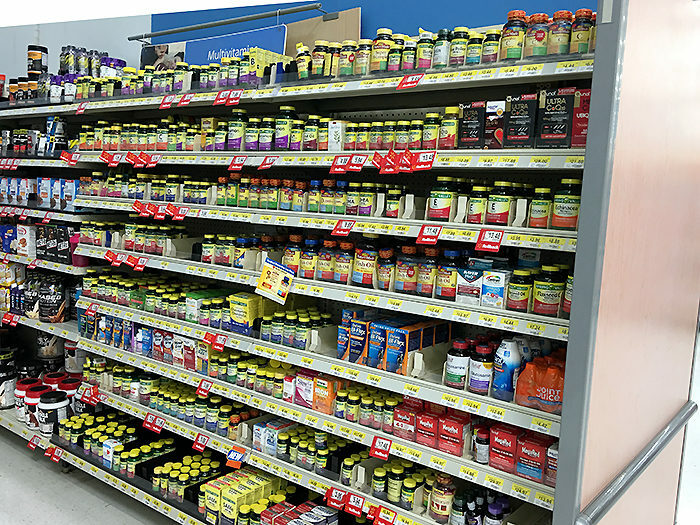 If you’d like to try some natural, herbal options for those nagging symptoms, you can get a 60-count supply of each supplement for only just $14.99 at Walmart.com or at your local store. I’ve had sensitive teeth for most of my adult life, and I genuinely do not enjoy it. This sensitivity can turn a simple ice cream or accidentally grinding my teeth together into torture. Not cool. 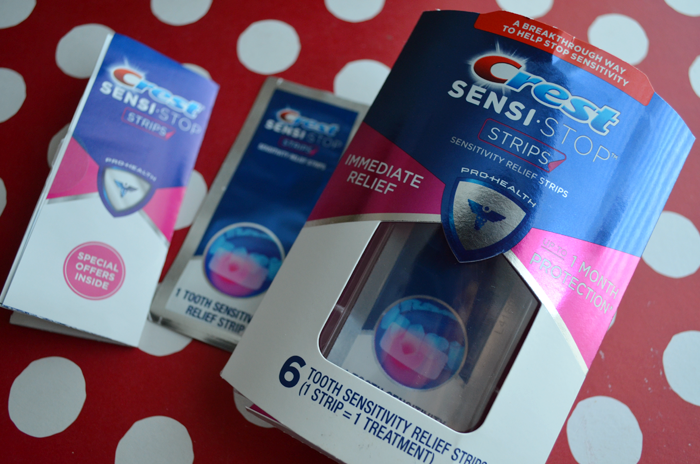 So when Walmart offered me the opportunity to try a new product designed to reduce tooth sensitivity for up to a month at a time, I couldn’t wait to try it. Except…I can’t use it while breastfeeding, per the recommendations on the box. Bummer. 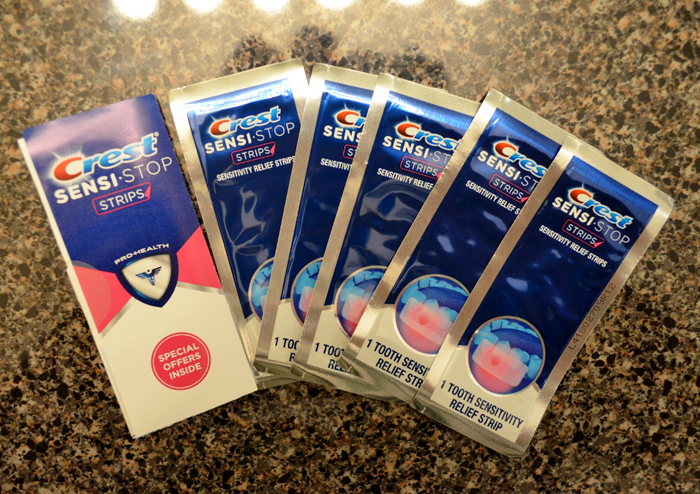 More about the product: Sensi-Stop strips offer relief from tooth sensitivity with a simple application to the gums in the area of sensitivity, with immediate results that can last up to a month. According to my husband, the strip was really easy to apply. Bonus? It’s also pretty invisible. 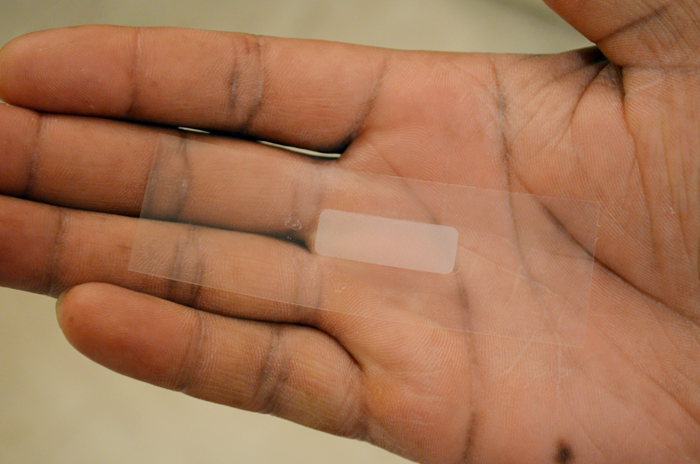 The strip is small and sticky. Despite the fact that he showed me three times where he’d placed it, I couldn’t see it along his gums. At all. Granted he used it toward the back of his mouth, but it was still pretty impressive that I couldn’t see it even though I was actually looking for it. Anyway, invisibility isn’t really necessary, because you only have to wear the strip for 10 minutes. According to the directions, you should begin to feel the effects immediately. My husband said he started to feel numbness in that area right away, and it lasted even after he’d removed the strip. He did say that he could taste the medication, but it wasn’t a bad taste. Just an unusual one, similar to Orajel. Per the directions, he couldn’t rinse, eat or drink for 30 minutes after application. Not a problem at all. As long as you don’t apply just before eating, you should be fine. In the days since, he has noticed a distinct difference in the area where he applied the strip. Cold drinks and ice cream have not bothered him at all, and he hasn’t felt any pain whatsoever. I call that a win! Overall, he said he thought of it like a treatment he might get at the dentist’s office (we use https://www.hillsdentaldesign.com.au/ as our home office), and it was awesome that he could do it at home. I’m pretty impressed, and a little jealous that I haven’t been able to try it yet, because I have areas of sensitivity that really do bug me. The idea that a 10-minute, self-applied treatment really works and could offer a full month of protection blows my mind. Disclosure: As a participant in the Walmart Moms Program, I’ve received product samples and compensation for my time and efforts in creating this post. All thoughts and opinions are my own. Affiliate links have been used.